With the additional five reported influenza-related fatalities in San Diego County says the total deaths for the 2014-2015 flu season stands at nine. Their ages ranged from 68 to 95 years and all had underlying medical conditions. The number of flu-related deaths so far this year is the same as this time last season. San Diego has reported an increase lab-confirmed influenza cases to date with more than 1,000 additional cases seen this season. 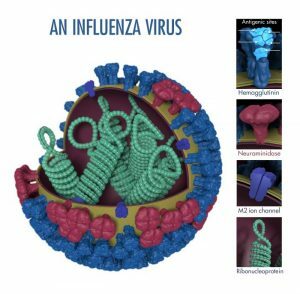 Influenza claimed the lives of 70 San Diegans during the 2013-2014 season, the highest total since HHSA began tracking the disease. Sixty-five deaths were reported during the 2012-2013 flu season. Flu activity in the region intensifies in January and February and typically lasts through the end of March or early April. The Centers for Disease Control and Prevention (CDC) recommends that everyone 6 months and older get a flu vaccine every year. The vaccine is safe and effective. It takes two weeks for immunity to develop after receiving the vaccine. · People who live with or care for others who are at higher risk. The CDC has indicated this year’s vaccine is not as good a match for one of the strains, but it is very well matched for the other strains. Partial protection is better than no protection and having the vaccine helps prevent severe illness and hospitalizations.